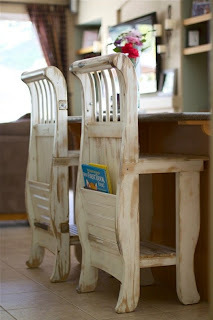 Some nifty ideas today for turning trash into treasures. 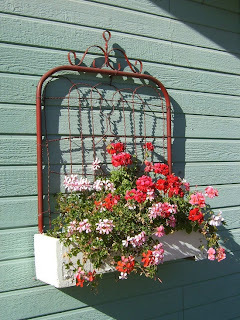 What a great use of a towel rack. 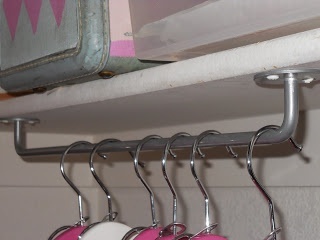 Attach it to the bottom of a shelf for hanging storage. 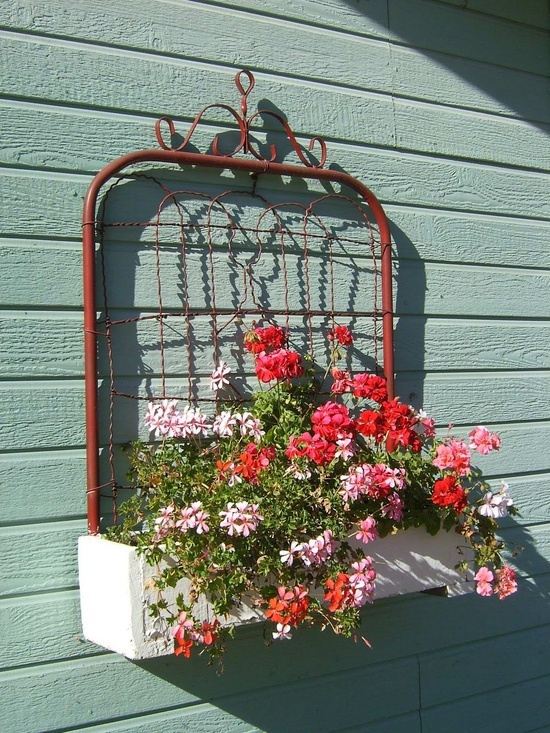 This would be great in a laundry room or closet. Turn an old metal headboard into a gate. 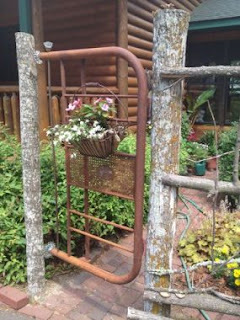 A rusty gate becomes the back of a planter. Can you tell these barstools were made from a crib?